The Easter is coming soon! It’s time to think how to make it different this year. 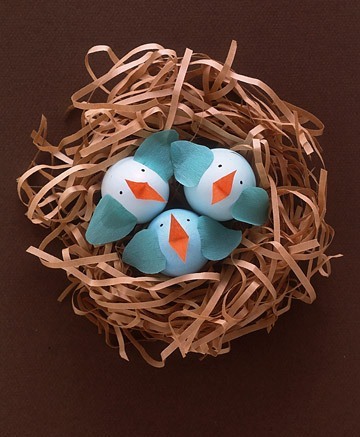 Here are some ideas for Easter decorations – Easter eggs, Easter baskets, egg stands… Try to bring the fresh breeze of springtime in your home, and make it special for you and your family. 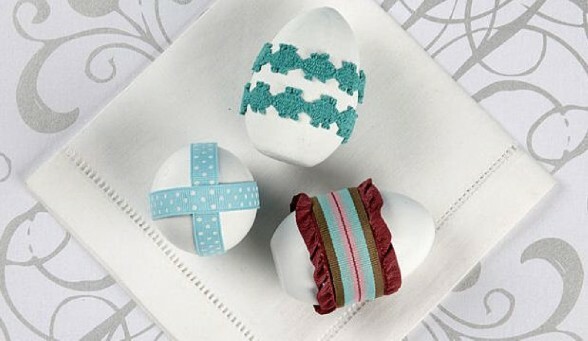 With the variety of beautiful patterns, textures and colours ribbon is an ideal decorative element for an Easter egg. 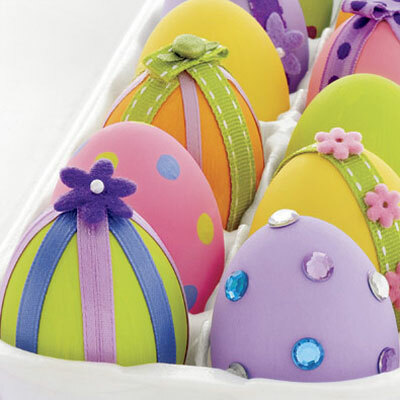 Dye eggs in different colours and let dry completely. Put a sheet of wax paper on the table. 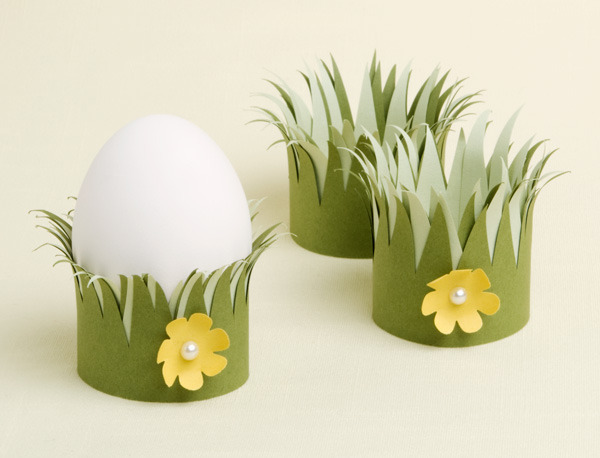 Lay a strip of ribbon longer than the circumference of the egg. The right side of the ribbon should be down on the wax paper. Using the foam brush, cover the entire surface of the ribbon with glue. Try not to move ribbon while doing this, so glue wouldn’t go on the underside. 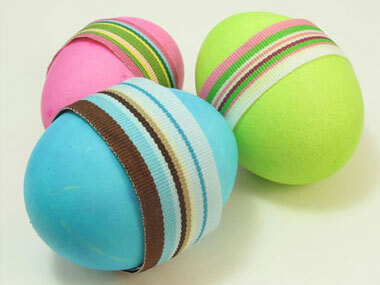 Put an egg at one end of the ribbon and roll it until ribbon fully encircles the egg. Let the ribbon overlap the starting point about ¼ inch, then press the end. Smooth ribbon against the egg with your fingers. Let dry. 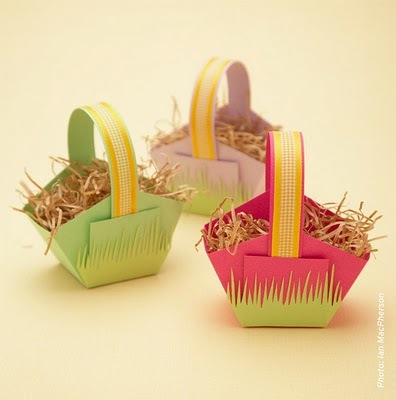 Paper Easter Baskets are easy to make, and can be made up in no time. They could be a great funny project you occupied your children. You can make these baskets any size you like. As long as your square sheet of coloured card is divisible by 3 it’ll work. 1. Cut your piece of card into a square that is divisible by 3. Once you have a square, divide it into thirds with a pencil. Score the pencil lines with a bone folder. 2. Prepare the grass for the outside flap of the basket. Cut a wide strip from a sheet of green paper, and begin to snip away at one edge to create grass. 3. With a craft knife, cut the lines from the outside edge of your square to the centre line only. When done, you should have two cuts on one side the square, and another two cuts on the opposite side. 4. Prepare the basket handle. Cut a 3/4 inch strip from the coloured card. The length of your handle is up to you. Cut the ribbon to match the length of your handle, then glue the ribbon to your strip and set aside to dry. 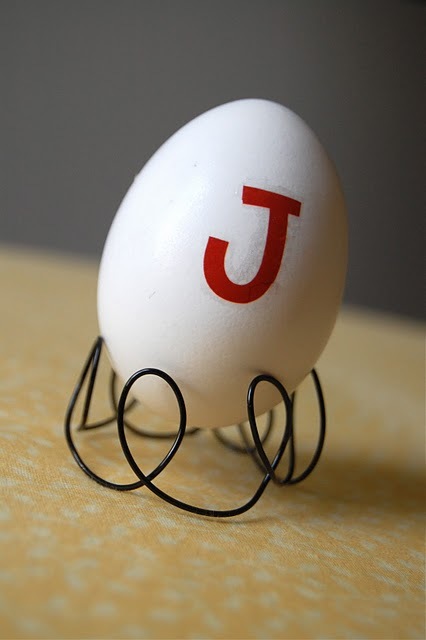 The egg stands are easy to make and with a limited materials you can be very creative. 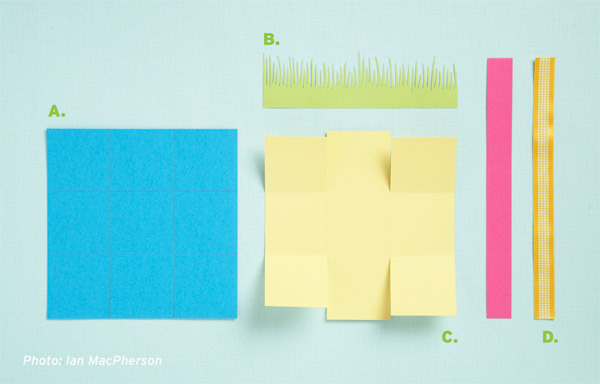 Use a piece of green paper, cut a rectangle piece and the upper side cut in the form of grass. Add a few ready-made flowers or make them by yourself. If you want to make the stand in a minimalist style, use copper wire or coloured insulated wire. You can make a completely free form or use some sort of mould that helps you to modeling the wire. The final results may be surprising!!! 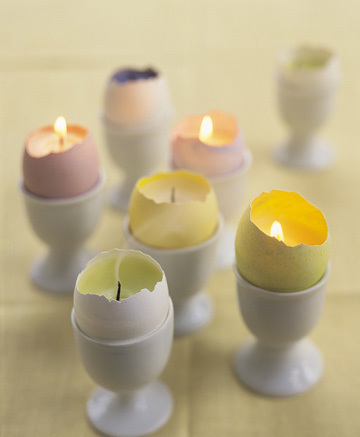 Probably the easiest way to make an Easter egg stand or nest is to shred thin coloured paper (green is always nice). 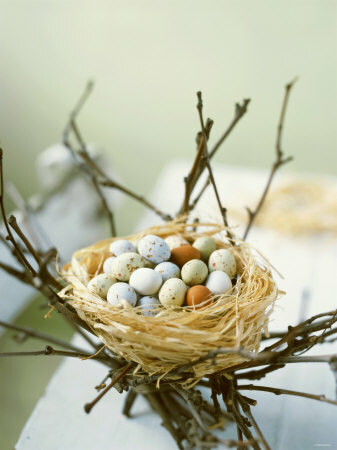 Shredded paper “spaghetti” could be formed in the shape of the bird nest and hold an egg or other decorating pieces.